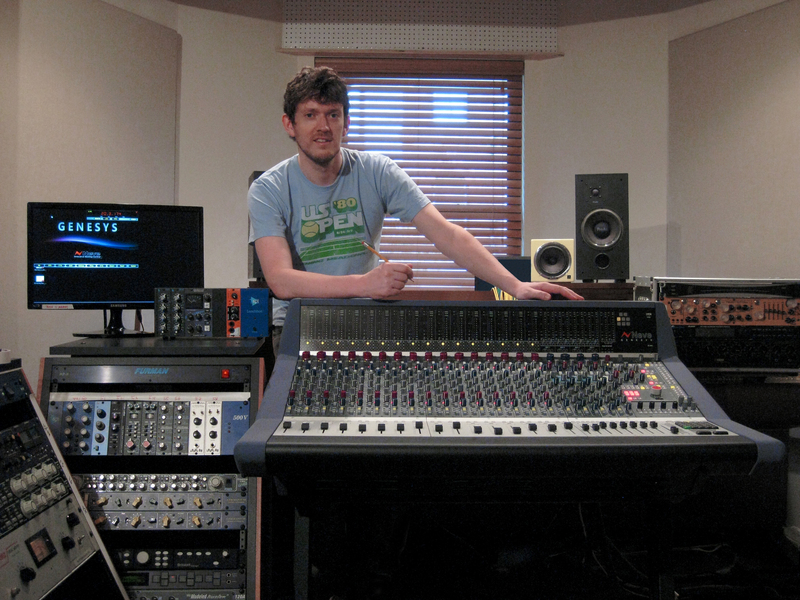 GRAMMY®-nominated mixer and producer John O’Mahony, with his 16-channel AMS Neve Genesys, sourced through GC Pro. WESTLAKE VILLAGE, CA, September 8, 2011 — Guitar Center Professional (GC Pro), the outside sales division of Guitar Center that focuses on the needs of professional users, has supplied GRAMMY®-nominated mixer and producer John O’Mahony with a 16-channel AMS Neve Genesys mixing console outfitted with Encore fader automation. O’Mahony, who works out of his own room at the legendary Electric Lady Studios in New York, is known for his work with artists such as Coldplay, Metric, Alberta Cross, Kashmir and The Cribs. GC Pro is the exclusive U.S. sales channel for the innovative Genesys, a custom-crafted, expandable analog recording console that incorporates digital workstation control. Photo Caption: GRAMMY®-nominated mixer and producer John O’Mahony, with his 16-channel AMS Neve Genesys, sourced through GC Pro.